Eurodollar has formed a consolidation range inside its descending channel. 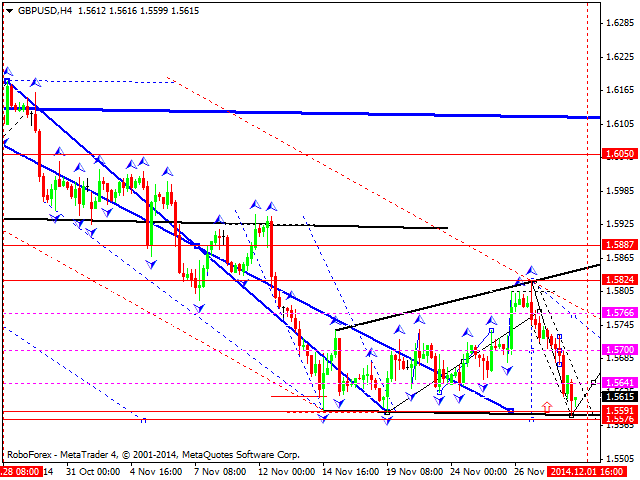 We think, today the price may break the upper border of this range and then continue growing to reach level of 1.2610. 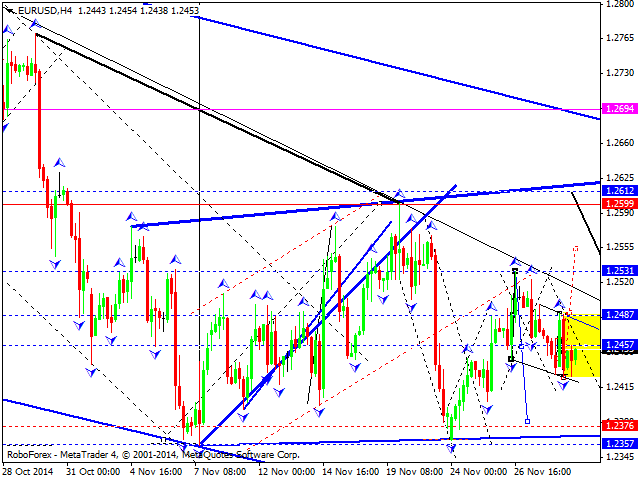 An alternative scenario implies that the pair may break the channel downwards and fall towards level of 1.2330. Pound is moving inside a descending channel. We think, today the price may return to level of 1.5700, move downwards to reach level of 1.5580, and then grow towards level of 1.5800. An alternative scenario implies that the pair may move downwards to reach level of 1.5580 and only after that start growing to break level of 1.5700. Franc has attempted to break its consolidation range upwards and then moved back. 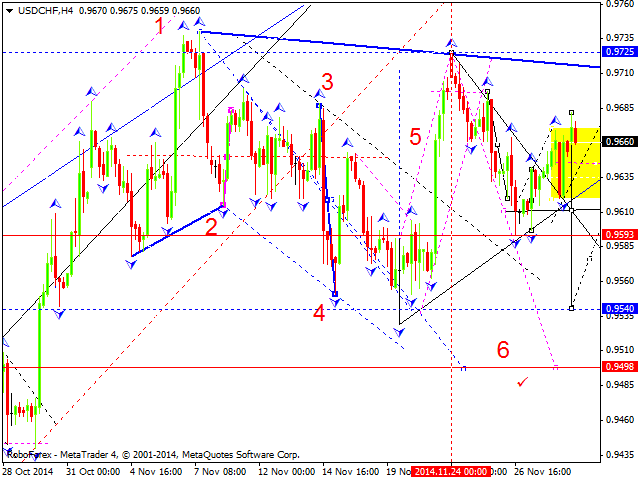 We think, today the price may continue falling towards the lower border of the range. However, if the market rebounds from the middle of the range upwards and reaches a new top, the market may continue growing to reach level of 0.9770; it downwards - the market may continue falling towards level of 0.9500. Yen has broken its consolidation channel upwards. 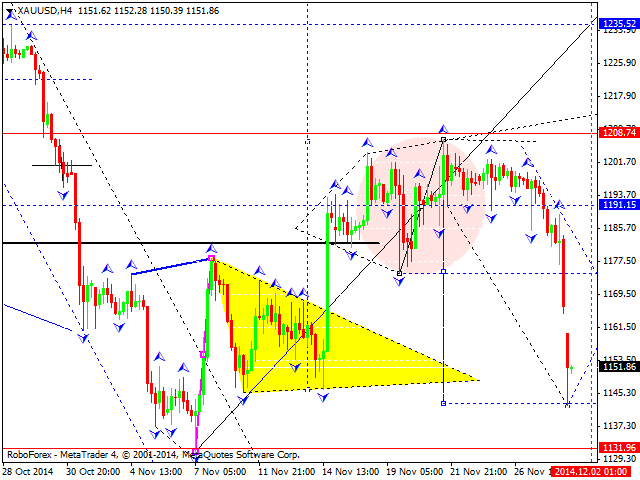 We think, today the price may continue growing to reach level of 11930. Later, in our opinion, the market may fall towards level of 115.00 and then start forming another consolidation channel. The market was opened with a gap down today; the pair moved downwards and reached a new low. 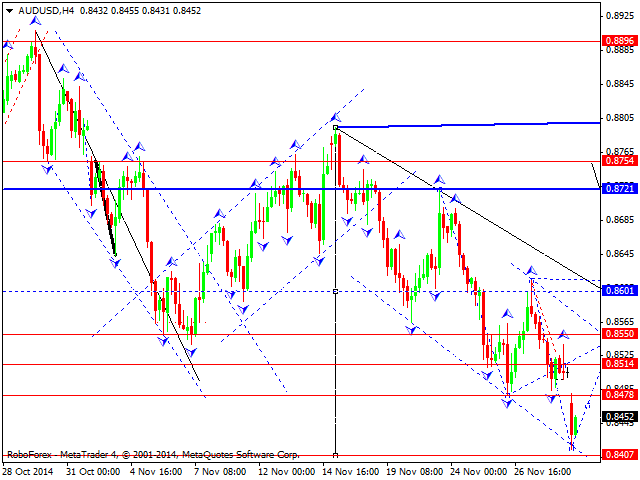 We think, today the price may form an ascending structure towards level of 0.8550 and then return to level of 0.8480. Thus, the market may form another consolidation channel. If the pair breaks it upwards, the price may continue growing and forming a correction; if downwards – the downtrend may continue extending the third wave. 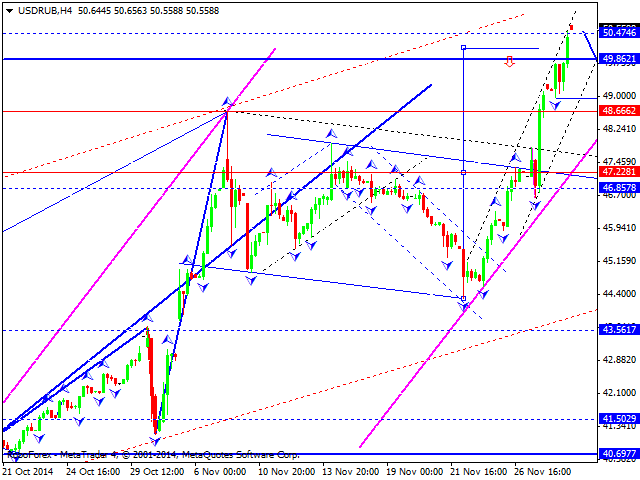 Ruble has extended the third wave without any corrections, reached the targets, and started forming the fourth wave. To continue moving upwards is quite problematic. The main scenario implies that the price may form a consolidation range and a descending structure. 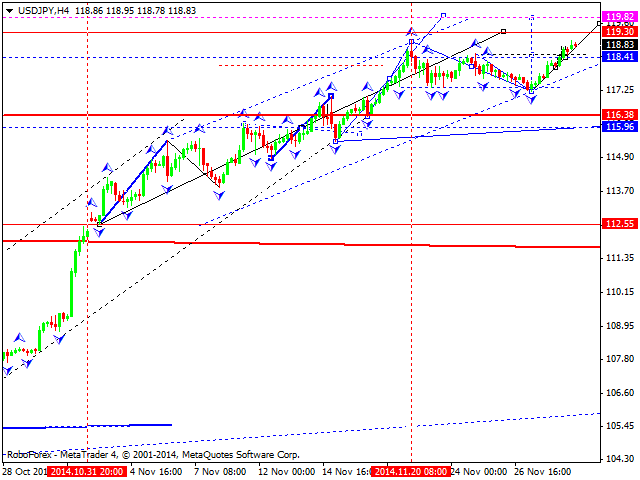 If the market attempts to reach new maximums, it may be considered as the part of a reversal pattern. The pair is expected to form a serious correction. The market was opened with a gap down today; Gold has broken its consolidation channel downwards and reached the targets. We think, today the price may return to level of 1175 and then to 1160. Later, in our opinion, the market may form another consolidation range. If the instrument breaks it upwards, the price may grow to reach level of 1208; if downwards – to continue falling towards level of 1130.